Manatee County, Fla., tomato farmer Gary Reeder says he has seen the county’s tomato industry “basically cut in half” during his lifetime. Reeder is a fourth-generation tomato grower. 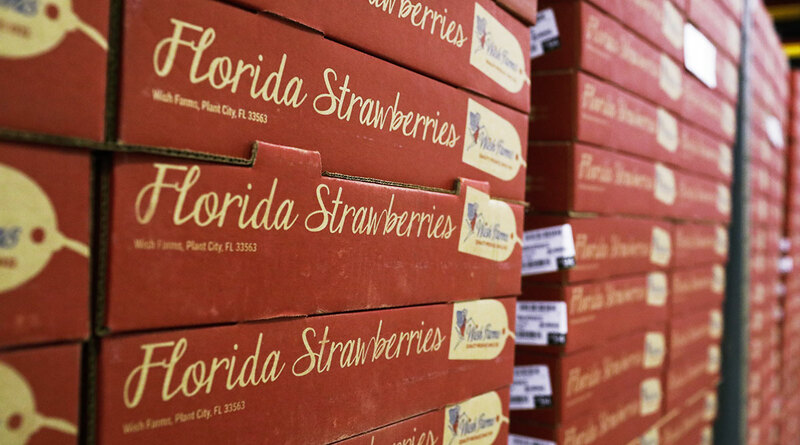 The company he works for, West Coast Tomato LLC, has held on and still has two farms in Manatee County and two in Hendry County, but Reeder says Florida tomato farmers struggle to compete with their counterparts in Mexico. It’s the same story for fruit and vegetable growers across the state, many of whom bristle at what they view as unfair competition from Mexico. Florida farmers have been sharply critical of NAFTA, and they aren’t happy with the rewrite that has been negotiated by President Donald Trump’s administration. On March 19 Reeder joined with Florida Farm Bureau President John Hoblick and farmers from throughout the region to call for more protection for Florida farmers as Congress considers approving the NAFTA rewrite. During a press conference in Palmetto that also included U.S. Rep. Vern Buchanan, Hoblick said a “tremendous amount” of Florida farms have gone out of business because of low-cost competition from Mexico. “More farm closures are likely to follow” unless farmers get help, Hoblick said. The Trump administration is touting the NAFTA rewrite — known as the United States-Mexico-Canada Agreement, or USMCA — and pushing Congress to approve it. But Florida farmers don’t see it as a win, and they’re making a last-ditch effort to secure some protection in the negotiations surrounding the trade deal, which already has been approved by Trump and the leaders of Mexico and Canada but still must be ratified by the U.S. Congress. A leader in Congress on trade issues, Buchanan said he still believes there is a chance of getting some help for Florida farmers. Buchanan is the ranking Republican on the House Subcommittee on Trade. He has met with U.S. Trade Representative Robert Lighthizer and said “he’s aware” of the concerns within the Florida delegation about USMCA. Buchanan is trying to leverage the Trump administration’s desire to get USMCA approved to get support for his bill. The 27-member Florida delegation has significant clout if it sticks together, he said. “They’ve got an agreement that’s been signed by three countries, but it’s got to get confirmed by the House and the Senate,” Buchanan said. Reeder said Florida farmers are just looking for fairness.